This year Dorchester Chamber for Business held its AGM at The Keep Military Museum – a fitting venue to coincide with the Armistice centenary. The event, which attracted a fantastic turnout, also included an opportunity for members to sample the lovely Fordington Gin. The AGM’s formal procedures were held in the Keep’s Library, where – in addition to an overview of the Chamber’s work this year presented by President, Steve Farnham plus a summary of the accounts by Treasurer Jon Edge – members received an updated on the revised Constitution. Also, two new Executive Committee Members, Gemma Wall, The Contemporary PA (left) and Ian Campbell, Blanchards Bailey Solicitors (right) were officially elected to join the Chamber’s Executive Committee. Below are some fabulous photos taken during the evening by our official photographer, Siân Court of SKC Photography. After the AGM members were invited to stay on to browse the rich and varied collection of artifacts and military memorabilia, together with an insightful presentation by the museum’s curator, Chris Copson. Don’t miss our Good Causes breakfast tomorrow Tuesday 13th November at Shire Hall Historic Courthouse Museum on High Street West in Dorchester. 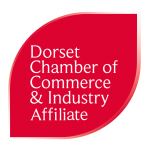 The breakfast which will showcase local charitable and ‘not for profit’ organisations is a collaboration with Dorchester Town Council to provide a platform to those listed, to inform us of what they do and conect with the local business community.